Tomorrow there’s a beautypost on thé foundation of foundations… Estée Lauder’s Double Wear! 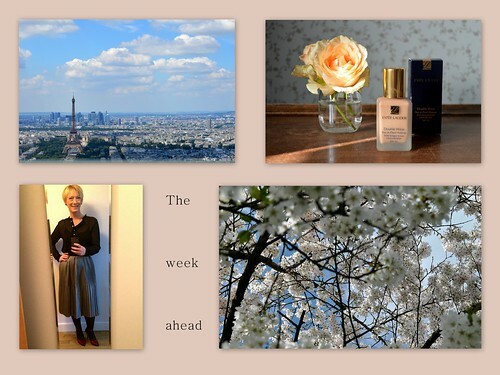 On Tuesday there’s a post on quotes about Spring and on Thursday I give you plenty of tips on how to plan a daytrip to Paris. In Saturday’s outfitpost, there’s an overview on the outfits I posted in March. You see, yet another week full of interesting posts… see you soon! Fashion: How to wear… Paris Fashion Week street style!